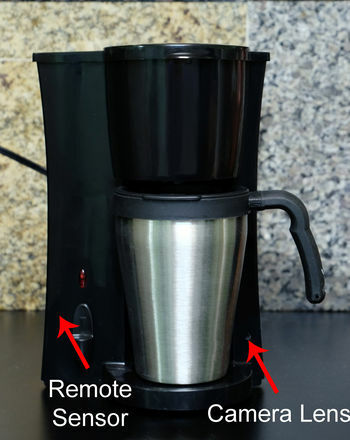 The Bush Baby Stealth Hi-Def Coffee Pot Spy Camera/DVR is a fully working personal coffee pot that blends in to any kitchen but also contains a hidden camera. It is a great choice whether you're keeping watch on your child's nanny, someone coming in to work on your home, or adding a bit more home security while you're away. 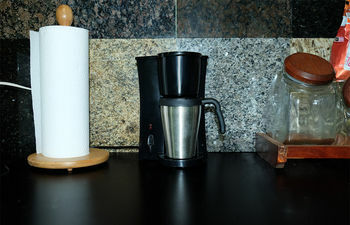 This coffee pot will fit perfectly in the most highly trafficked room of your home the kitchen. It records high quality 1920x1080 video. Either record continuously or use the motion detection setting.